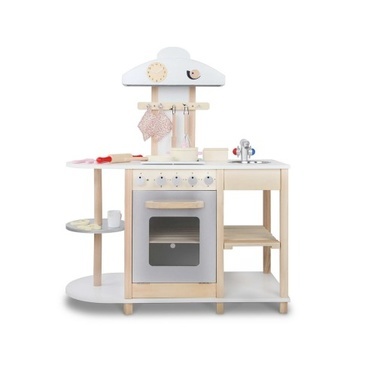 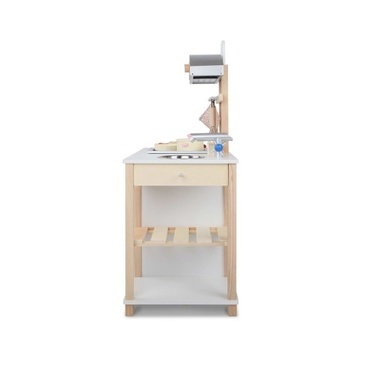 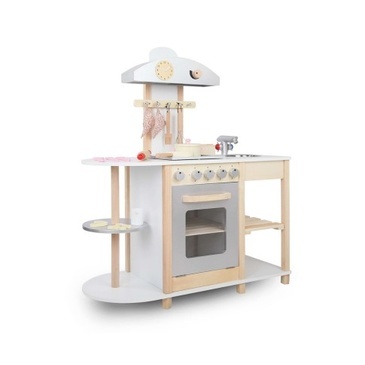 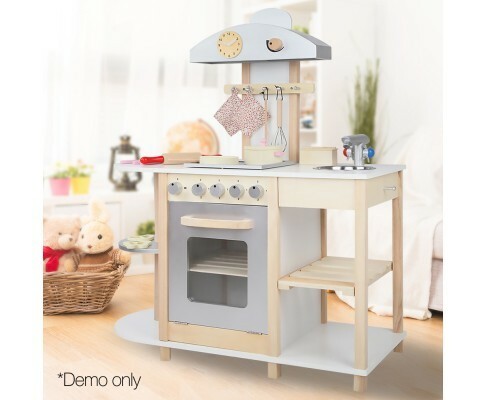 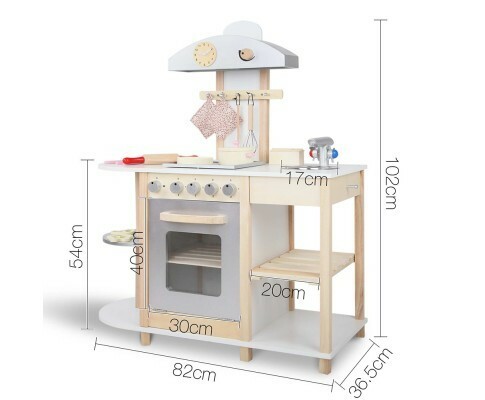 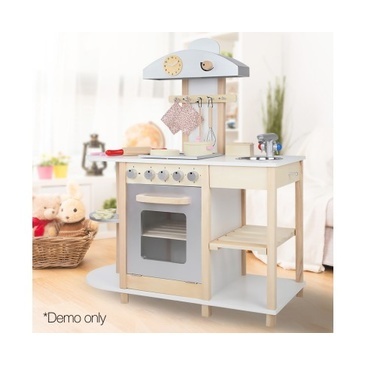 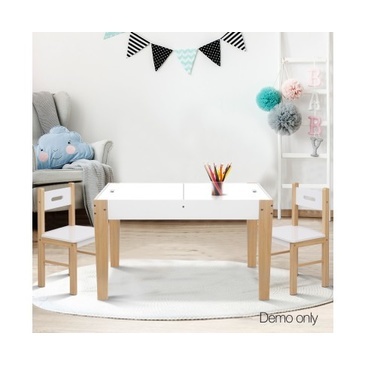 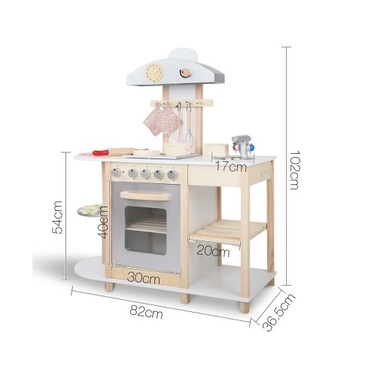 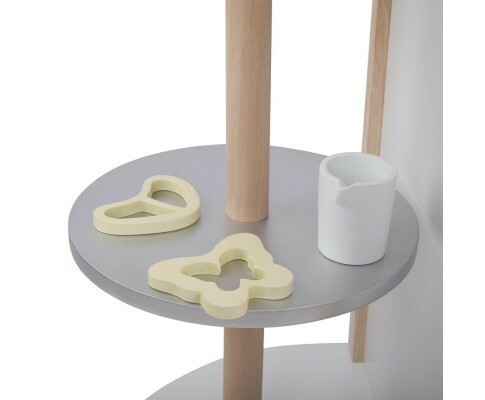 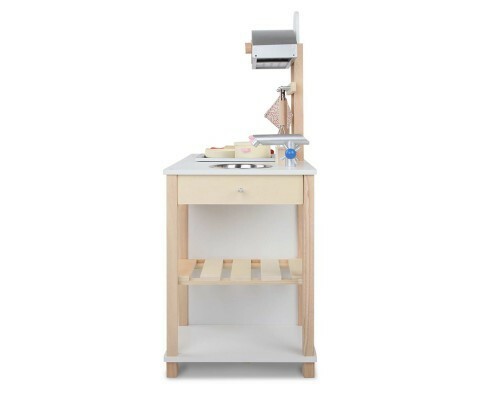 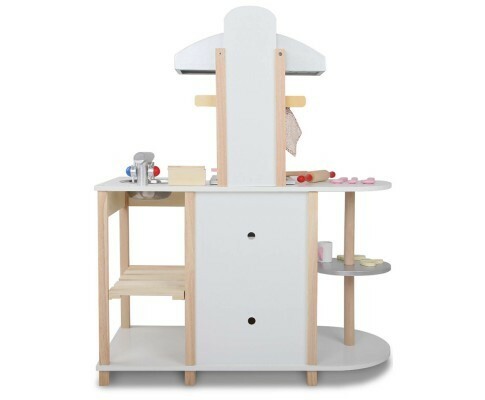 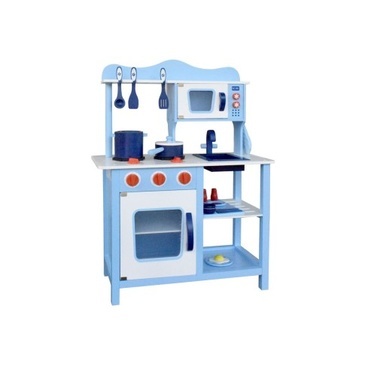 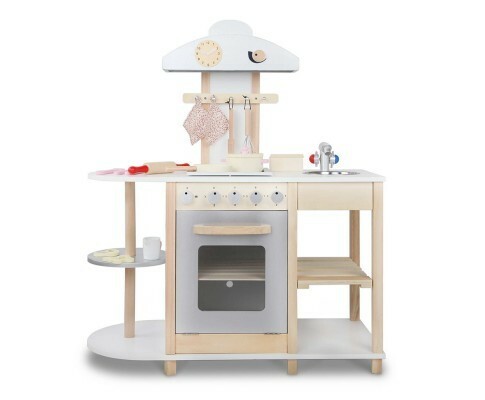 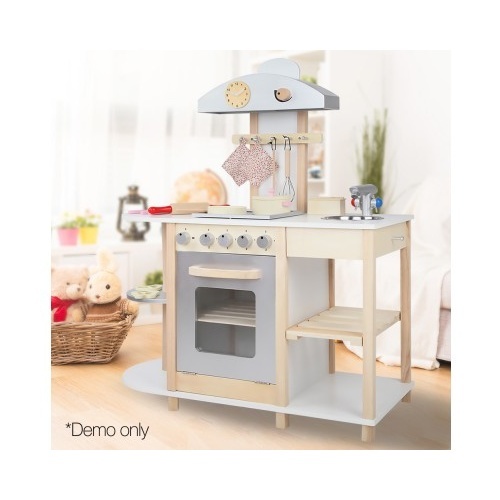 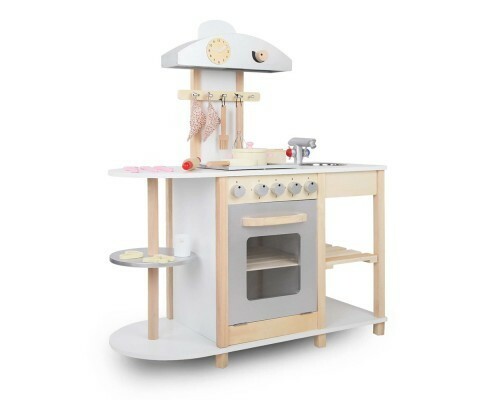 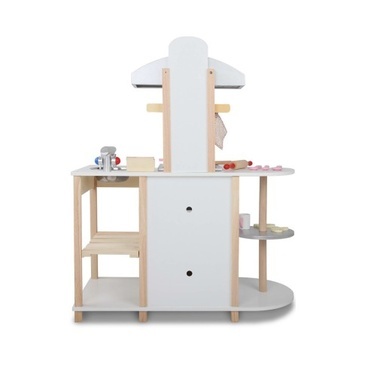 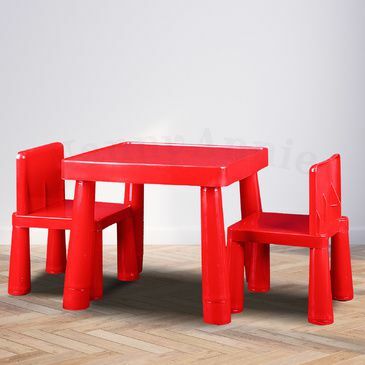 Painted with smooth natural colour, our Kitchen Playset is definitely one of the aritistic models on the market. 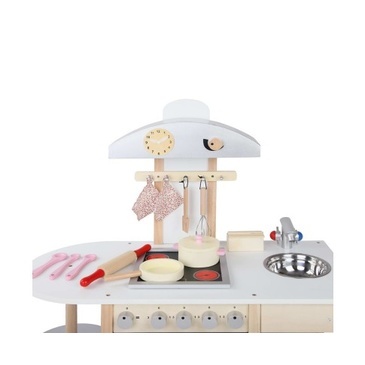 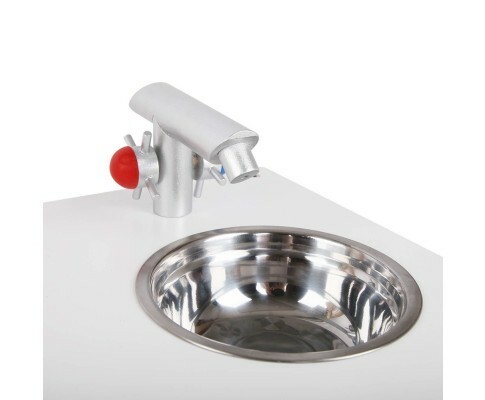 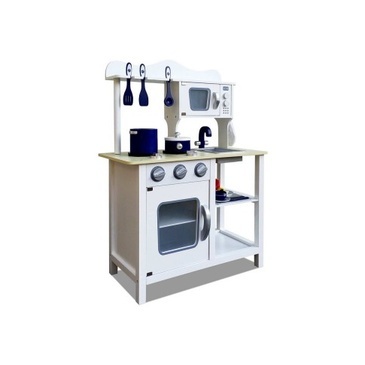 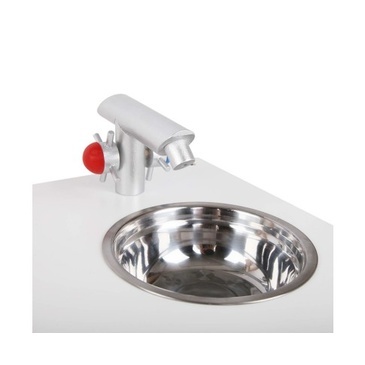 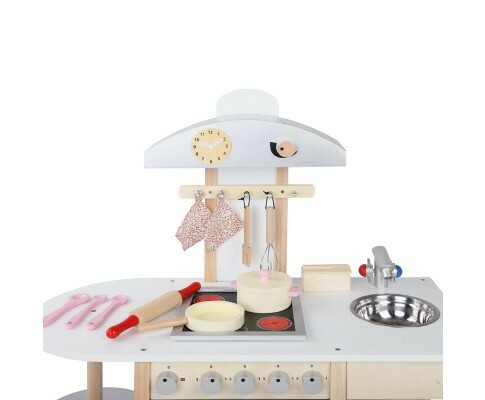 The set features a stainless steel sink, range hood and stove set configuration. 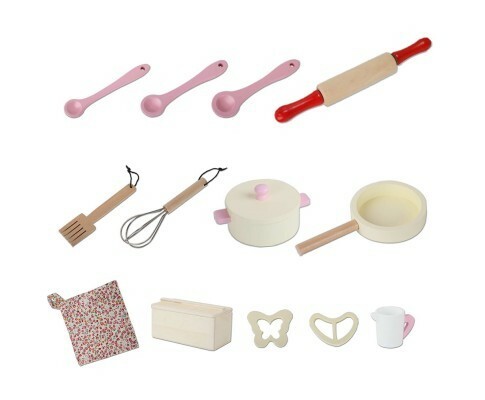 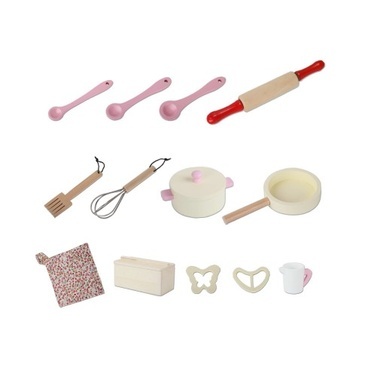 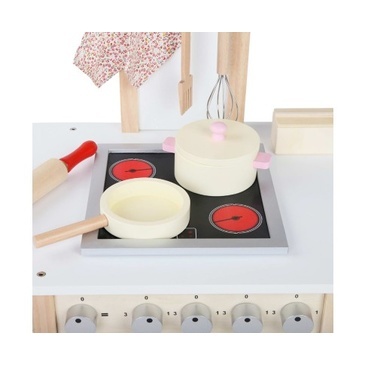 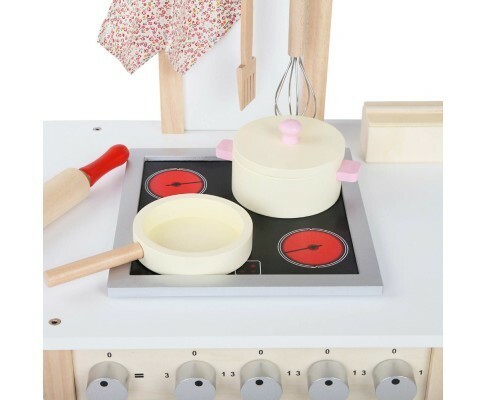 To enhance the realism of cooking, this set includes a range of accessories such as cooking pot, pan, spoons, rolling pin, whisk, turner, egg, cup and dishcloth. 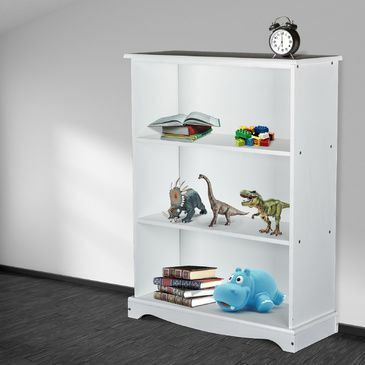 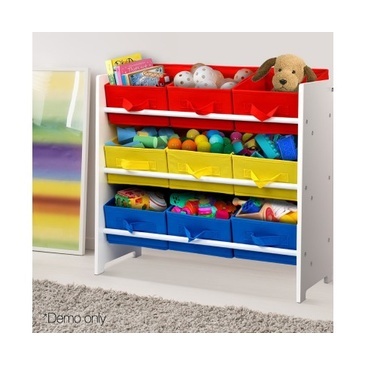 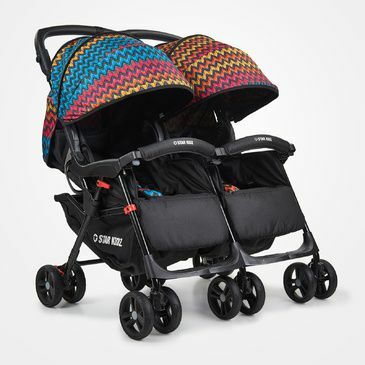 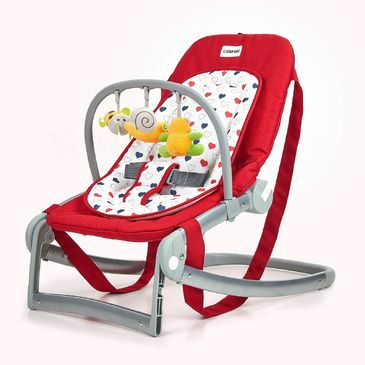 Plus perfectly functional doors and numerous storage space for a neat and clean space. 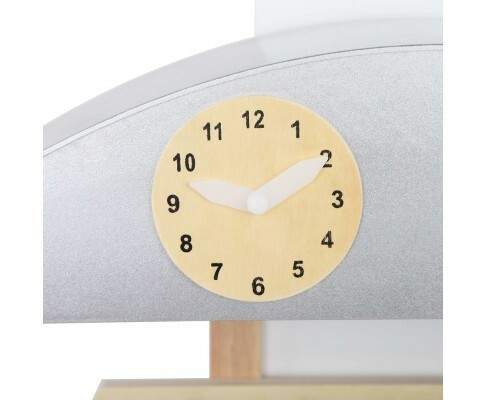 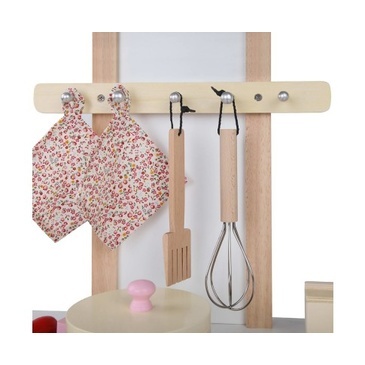 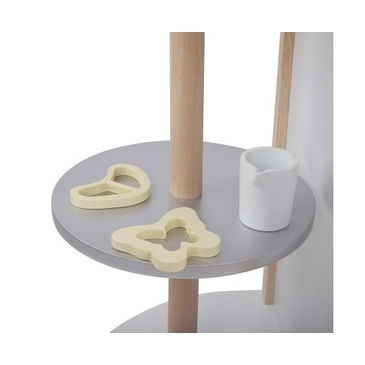 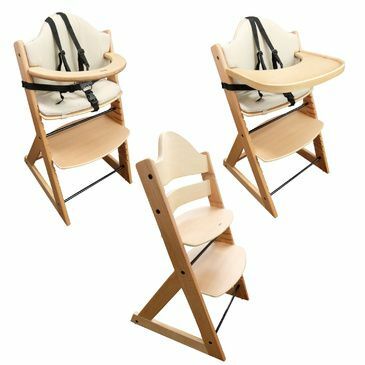 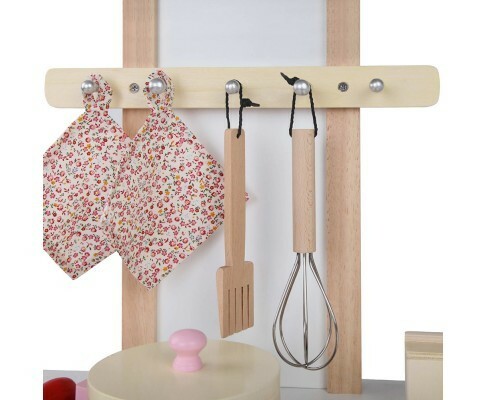 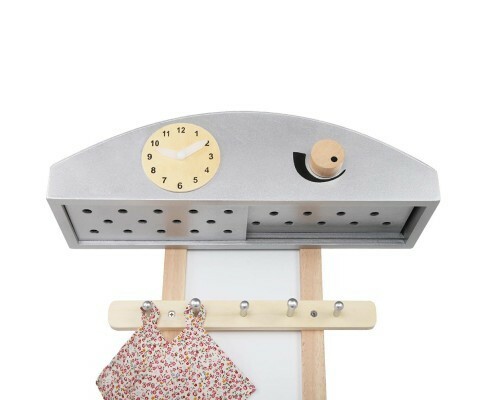 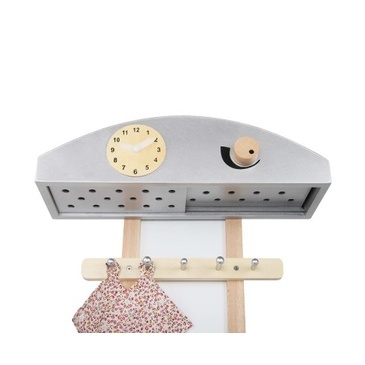 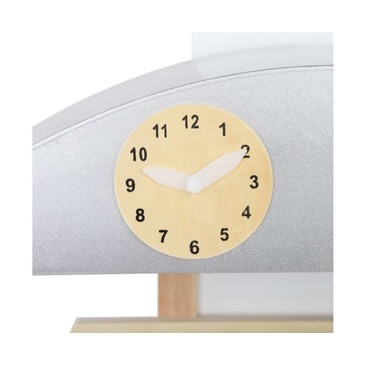 Designed with kitchen hooks like a real one, they can easily clear the bench top and have a fresh cook session.